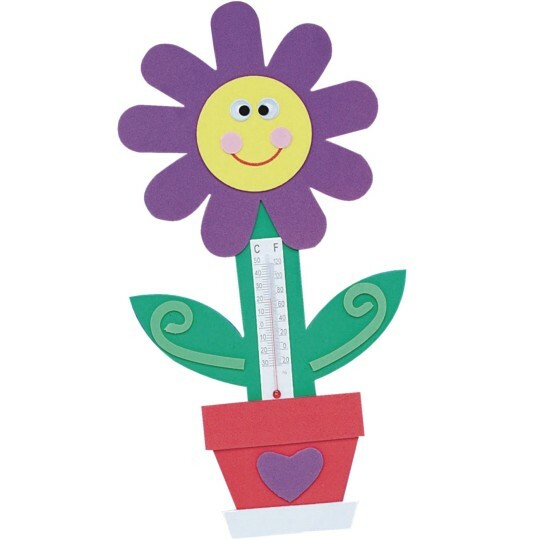 This fun foam flower magnet is a working thermometer (oil filled). Includes foam pieces, thermometer, and wiggly eyes. Glue sold separately. 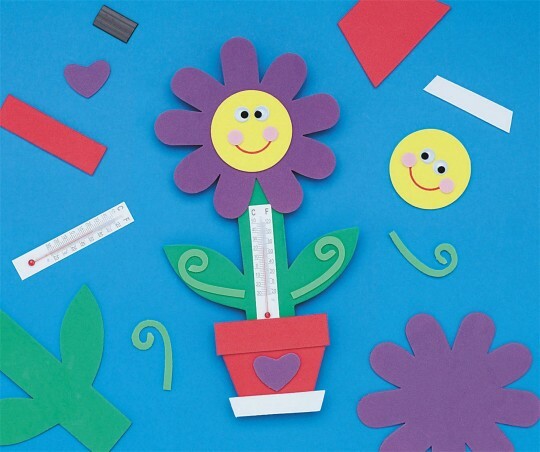 10” x 5-1/4”. This was a great craft for our campers! Looked okay and they were easy. This product was very fun for the residents. Just need to have more in a package. This was by far one of the best kits we've had. Our residents had a blast assembling them and loved the finished product! Will look for more like this! Project for Developmentally Challenge Adult Population.